If you're starting high school this year, a sophomore, or even a junior, it's important to think about jumping into activities that will help you out a lot when senior year rolls around and you start working on college applications just a month or two into the school year. Keeping college applications in mind (especially in 9th grade!) may seem like cause for some stress and anxiety. 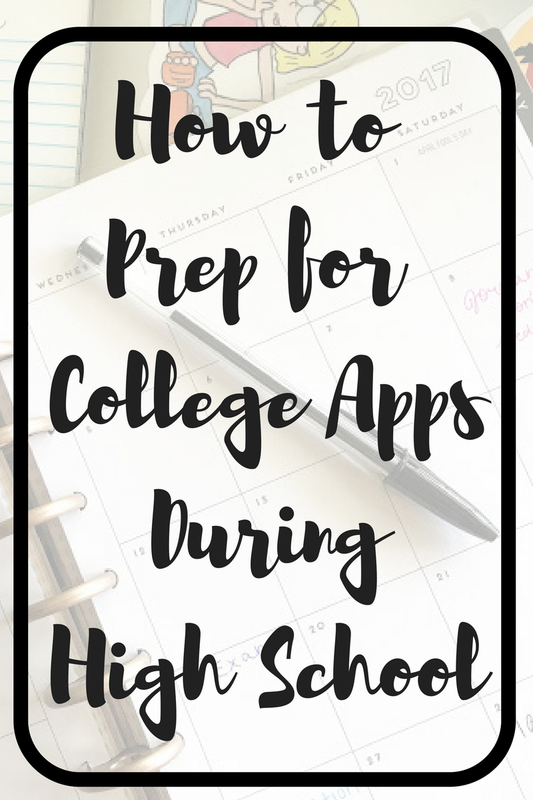 It definitely doesn't have to be like that - it's rarely like that for everyone - and you can have tons of fun in high school and still be completely prepared for those applications! This sounds generic but college admissions look for well-rounded individuals to come to their school. I translate this into: don't put all your eggs in one basket. Get involved in several different areas at school and in your community so that you can nail any essay topic and show that you have great time management and can handle multiple things at once. They're looking for leadership, commitment, innovation, and passion. Join a few different clubs your freshman year and decide which ones you love and want to stick with throughout the rest of high school. It's important to participate in a couple of clubs for all four years because that shows consistency and commitment. Make sure you're running for leadership positions your junior and senior year. Along with the standard clubs, look for every opportunity available to get involved. My town used to have a program for mentors to speak with kids at the Boys + Girls Club, there are some schools that allow for peer tutoring and assisting teachers, and there are usually opportunities to host school tours. My highest level Spanish class had the opportunity to write children's books in Spanish and go read them to children at an elementary school during school hours and I was able to discuss my participation in that in my college applications. Something few people do that makes a huge difference on applications and essays is taking the initiative to get involved in a volunteer program that isn't connected to school and regularly participate with them. This is something that isn't required, you aren't doing it to get your volunteer hours for a club (although it helps), and is something that you're passionate about. Volunteer because you truly want to do it. Connect with the people involved, make a difference in someone's life, and create great memories. The added benefits to volunteering can include creating relationships with supervisors who can write recommendations, networking with professionals in some cases, and doing something that most likely no other student is doing. Being committed to volunteering with the same organization for four years is impressive. My personal volunteer work was with an Alzheimer's group and I loved everyone I met in the program, I've had so much fun with them, and it has really been a life-changing experience. I've graduated college and I still visit the program because of the bonds formed and the positive experience I had. Playing sports won't make or break you - it doesn't play a huge role in the admissions process unless you're being scouted to play on a scholarship in college. I got accepted into my schools without playing any type of sport in high school. However, if you are passionate about sports, you can play in place of some clubs or volunteering and it will still show that you're well-rounded and all of the adjectives they look for. If you're playing a sport, commitment is key so try to play for several years. One year doesn't make much of an impact and skipping years can bring up questions. Try to get a leadership position in your junior or senior year on your team, as well. In this same concept, band and JROTC can enhance your applications in similar ways as long as you're committed. Show that you put in work to create something and that you're unique and talented. Don't neglect your interests. They're going to ask what your hobbies are. Make sure you have something to say. Don't forget to study! No matter how well you succeed in extracurriculars, grades and test scores will always reign supreme. Always, always put schoolwork first. Make sure your assignments are getting done, you're staying on top of everything, and studying for your tests. Shoot for being at the top of your class when it comes to GPA. This opens up so many doors for you that will wow admissions officers - the opportunity to be a junior marshal at graduation, the chance to speak at graduation as salutatorian or valedictorian (you'll already be accepted to college at that point), but it also motivates you to keep your GPA really high and creates friendly competition amongst your peers. It's never too early to start preparing for the ACT and SAT. You can take the SAT more than once but it's a process that isn't fun to repeat and a huge increase in score isn't common. Be prepared so that you know what to expect and can do amazing your first try. You can review with prep books or take practice tests online, but I find it most beneficial to get a feel for the process and environment so that you aren't focused on the wrong thing the day of the test. Talk to friends who have taken the test and do your research so you know what's allowed, how the breaks work, etc. Avoid disciplinary issues and maintain a good reputation amongst the teachers. One detention or one teacher you don't get along with won't be a big deal, but your consistent actions and reputation will define you. It may not be popular amongst your friends, but form good relationships with your teachers and go out of your way to help them. Teachers who have gotten to know you well can teach you a lot and be a big help with applications. It's time for the big one. This one is huge. Take college classes online your junior and senior year. I can't stress this enough! If you can leave high school with college credit, do it! I went to college with a full semester of college credits thanks to online classes in partnership with the community college and AP credits from passing the exams. Do not leave money on the table! Those classes typically cost a lot so if your high school is letting you take them for free, take full advantage of that! Also, pay close attention in your AP classes and study hard for those exams because you're paying for them and that's college credit at stake. 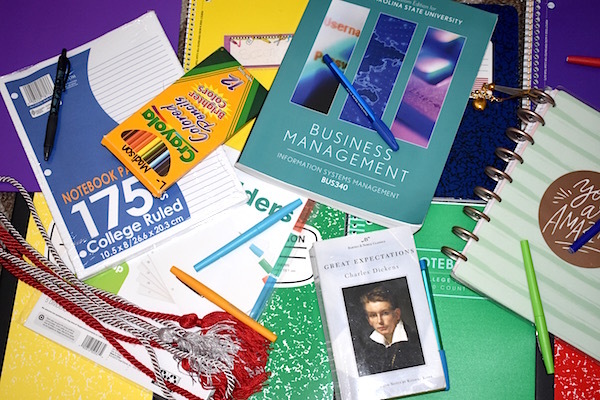 Wrapping up, I feel like I poured my secrets into this post so I hope you take these things to heart and keep college in the back of your mind throughout high school, reflecting in the things that you do. 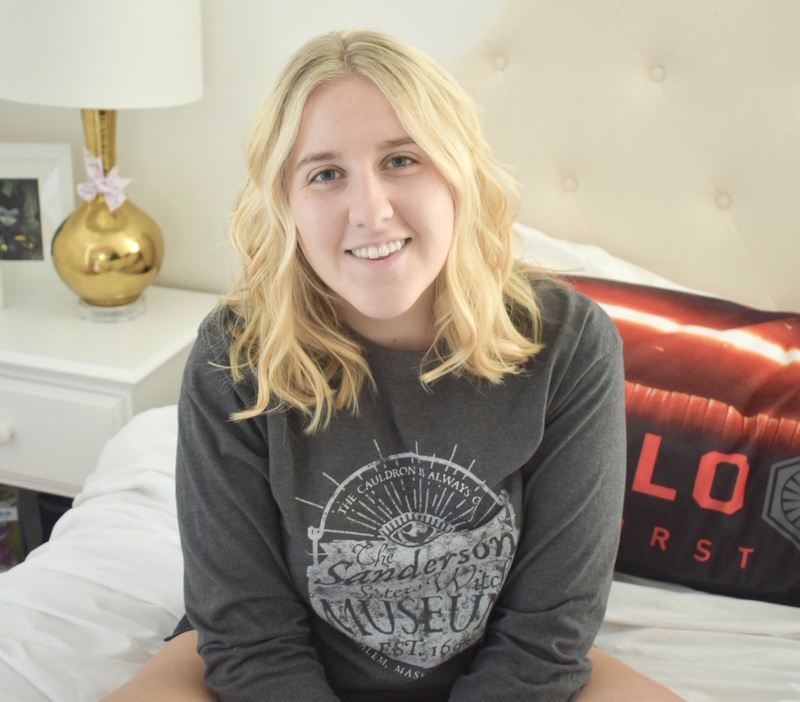 If you ever have any questions about high school, college admissions, or anything we've discussed here, my inbox is always open [madsmaybemail@gmail.com] and I'm available on social media. Feel free to reach out! Good luck in high school! Don't forget to have fun and enjoy these years of freedom!